This scrub is like old nut in a new shell. 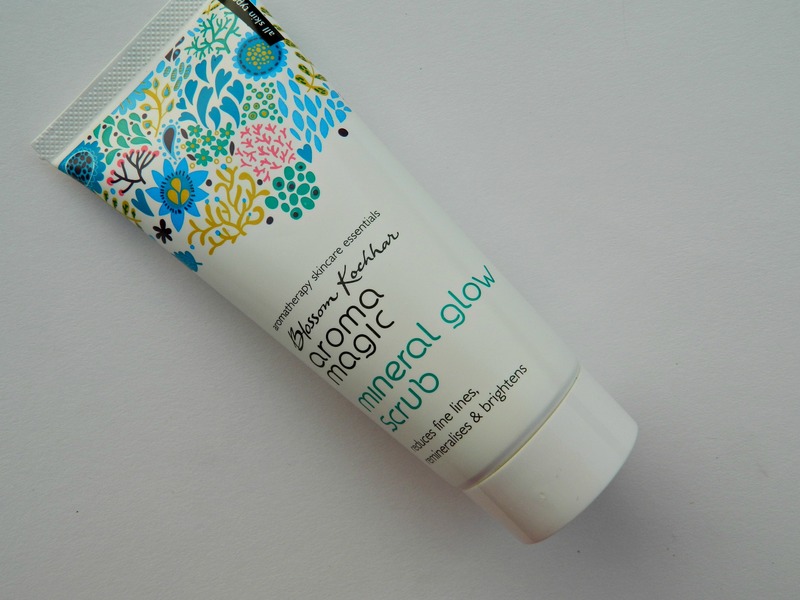 There are tons of reviews on Aroma Magic Mineral Glow Scrub around the web but I thought to share mine on this new version of that Mineral Glow Scrub. Suprisingly, I haven’t used the old version of this scrub. Price: Rs. 160 for 100 ml. 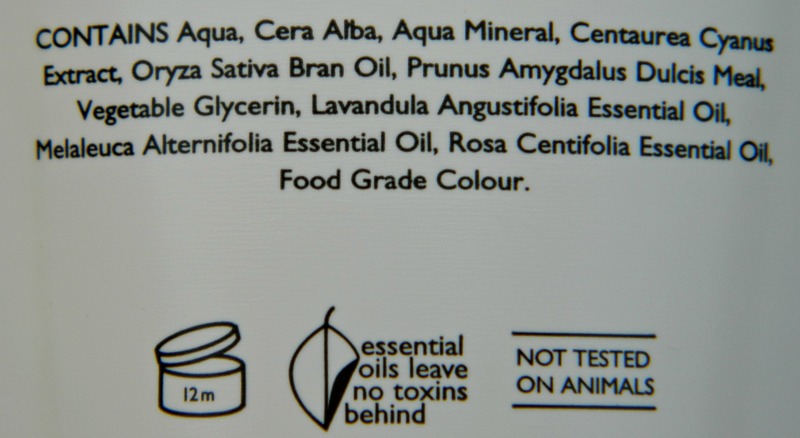 I am 100% free of harsh chemicals, alcohol, parabens, phthalates, sulphates, artificial colouring & fragrance. My triple action scrub formula made of natural exfoliators of cornflower and grain almond meal gently buffs away dry skin and dead cells resulting in fresh, young, energised and healthy skin. Rice bran oil and aqua minerals remineralise and enrich your skin reducing fine lines effectively. My aromatherapy blend of tea tree, rose and lavender essential oils helps to balance the level of oil in your skin and protects it from daily pollution and dirt. The goodness of moisturising agent like beeswax and glycerin keeps your skin smooth, radiant and nourished. Apply scrub on your face, neck and body. Massage gently with wet fingers and rinse off. For best results, leave it on for 10 minutes before rinsing. Pat your skin dry with a soft towel and continue with the rest of your skin care routine. Use once a week. Do not rub dry and delicate skin too hard, and avoid getting the scrub on the area around your eyes. I have been using this scrub from around 10 days and I’m absolutely in love with it. The texture of this scrub is creamy with tiny exfoliating beads, the beads are almost invisible and you won’t be able to see them, they can only be felt while using the scrub but the beads does its scrubbing work super efficiently. The scrub has a very mild soothing smell. 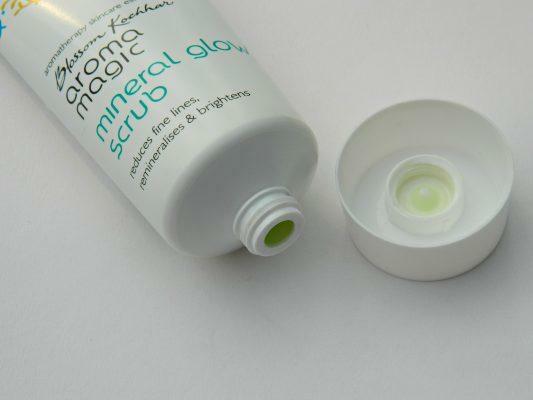 I generally massage this scrub for 4-5 minutes or sometimes even more and it leaves my face feeling soft and smooth. The scrub says to leave it on for 10 minutes after massaging for best results. Now you must be wondering that it’s a scrub and it’s supposed to be rubbed and not to be left on skin, the reason of leaving the scrub for extra few minutes is that it gives additional benefits of the ingredients it has, like till you are massaging it you are taking advantage only of the beads in it that exfoliates and what about the good ingredients it has, they don’t even get a chance to stay on skin and do something beneficial for the skin, now after leaving it on skin like a mask, those ingredients get a chance to penetrate deeper and give you a thoroughly clean skin by removing all the superficial dead cells. Just try to leave any scrub you like as a mask after massaging it and you’ll feel the difference yourself. I have tried this trick and it always works great for me. This scrub is the mildest and gentle scrub I have ever come across and all the natural ingredients makes it super good for even the sensitive skin. Spreads easily as it is neither runny nor too thick. Can be used by sensitive skin also as it’s very mild. Creamy texture makes it perfect for winters and dry skin. A big yes. :yes: This is the mildest and gentle scrub I have ever used and it takes care of my dry skin very well, will surely repurchase it as I think I should have this handy with me all the time. Wow! This sounds so perfect. Andd its paraben free! Definitely giving this a try girl! Sounds great! Good that it’s so gentle. This is one of my oldest fav ! I have used this and loved it….nice review! It’s so great that it doesn’t have any chemicals in it. Great review hun. After reading this review of yours, I m now very excited to try this product :) Thanks for sharing! Really wanna try some of these! The new packaging looks amazing. interesting product :) gotta try it! Looks like an interesting product! Thanks for sharing! You already have glowing skin girl! :D ….But I like this product! the best thing is its paraben free! gotta try this out! nice product to try, I like gentle scrubs!!! 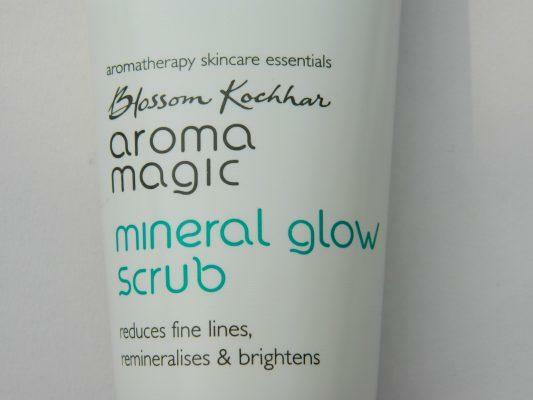 I have not used Aroma Magic products too much, but I know many people swear by it, would be trying this scrub.